At the start of November in the year 1995, a new system was instated in the correctional institution of Full Sutton, located near York in New Yorkshire, United Kingdom. Over the few months before November changes to the system had begun to surface. The changes culminated in the incentives and earned privileges scheme, which added another level of control to prisons, to the prison rules, and to govenors' discretionary powers. In Full Sutton Prison, prisoners were already allowed to be punished for what seemed to be virtually anything according to the inmates. The incentives and earned privileges scheme is set up to take away previously held rights such as association time, visits, access to private cash, community visits and home leave, property ownership, wearing plain clothes, telephone calls, and letters sent to and from the institution. The scheme would then turn these benefits into allowances to be earned based on behaviour of the inmate. There are three tiers to the scheme of which the inmate would be categorized into: basic, standard, and enhanced performance. Thus, this would allow different access to facilities and benefits. In addition, the scheme would divide the inmates into different behavioural categories. A token system was introduced which promoted inmates to play the game that was set before them and not pursue personal needs that may aid in rehabilitation and reintegration. This new system caused tension and stress among the inmates. They described a pressure to conform to the “ideal” prisoner. The riot in HMP Strangeways, in the year 1990, influenced the inmates of Full Sutton, because the first test run of the scheme had taken flight there. It was met with backlash, uprising, and a revolt by the inmates, which in turn stopped the system from being installed. The inmates of Full Sutton learned from this to stand up for their rights when they were being put into question, and how to fight back. With the scheme progressively changing the institution in the early days of November, the inmates decided to take action. They would not riot as they knew it would be quickly extinguished due to the experience of Strangeways and Full Sutton's reputation of dealing with riots. Therefore, the inmates decided to strike nonviolently. On Monday, 13, November, the strike began. The inmates initiated the action on E-Wing of the institution, which was also considered the observatory wing. After breakfast, the inmates from four out of the six wings went on strike, refusing to perform their daily jobs and industrial help to the institution. This included meal preparation, kitchen help, carpentry, textiles, industrial cleaning, and other trades jobs. The latter was costing the institution money by forcing them to outsource and hire others for labour. Inmates would either sit in their cells or refuse to work, or clutter the prison wing to show great representation. The strike continued with the same methods over the duration of three days. However, on Wednesday, 15, November, the situation began to change. Up to this point, riot squads were being held on standby if the strike became violent, costing the institution even more money and pressuring a fast resolution or action. Wednesday was payday for the E-Wing, thus the governor used this as a bargaining tool, stating that if inmates refused to work the canteen – where tobacco, phone cards, and other commodities were available – then it would be shut down. This also may have been an attempt to turn the peaceful demonstration into a violent one that could then be met with the riot squads that were currently on standby. Later that day information reached inmates that some other inmates had already been paid their earnings. Because of this, inmates requested a meeting with the Governor to discuss the situation. The inmates expressed how paying some and not others was discrimination; this then was met with the statement “it will be looked into.” After that meeting, another was held among the inmates, who decided not to return to their cells until they were paid for the hours worked. During these hours of the day, the correctional officers had been coming and going from the wings, partially in fear of a riot. 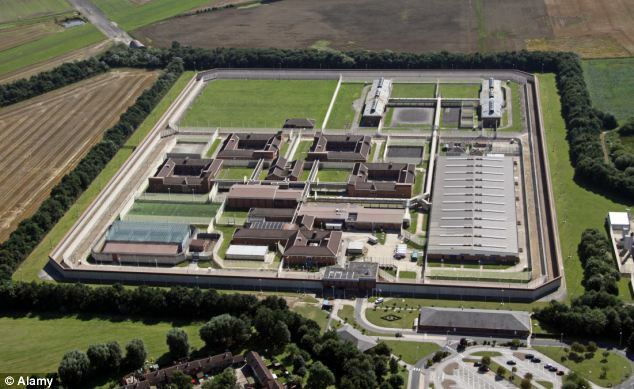 Although the inmates assured that no officers would be harmed in the demonstration, the riot squads were soon poised outside the doors to the wing to confront the inmates. When the landings were flooded with riot squads the inmates took to their cells to protect themselves. Some of the inmates were injured and caught, while some took reciprocal action against the squads by lashing out at them. At this time, the riot squads took action to coerce the inmates out, but they would not budge, so there were attempts to remove cell doors physically, although that did not work either. The inmates demanded a meeting with a doctor and the govenor in exchange for leaving their cells. The riot police then promised this meeting, but it turned out to be a ploy to get the inmates out of their cells. For after they left their cells they were searched and shoved up against walls to be cuffed. The ringleaders of the demonstration would be shipped off to other institutions, while others remained at Full Sutton. The inmates failed to achieve their goals to raise awareness of their mistreatment because the action was considered to be a riot by the guards and media. However, the inmates, and those close to them, maintain that it was not them who started the riot but those who ordered the riot squads. Although the success of the strike was limited, the inmates adopted an attitude and willingness to take change into their own hands in the face of injustice. The Full Sutton inmates were influenced by the Strangeways prison riot by demonstrating that if change and proper representation are going to happen, it must be done personally. The inmates were also influenced by another peaceful protest at Full Sutton that occurred in 1990 where inmates sat down in the recreation yard and refused to go back to their cells. Sharp, G. (2010). From dictatorship to democracy: a conceptual framework for liberation (4th U.S. ed.). East Boston, Mass. : Albert Einstein Institution.